Color Your Summer With Fun! One of the most common items with which many fond childhood memories are filled, is crayons. Kids love to draw and color. Their vivid imaginations run wild and concoct the most childish, yet brilliant, sketches over which adults gush with fascination and praise, regardless of the actual artistic value of the “masterpiece”. 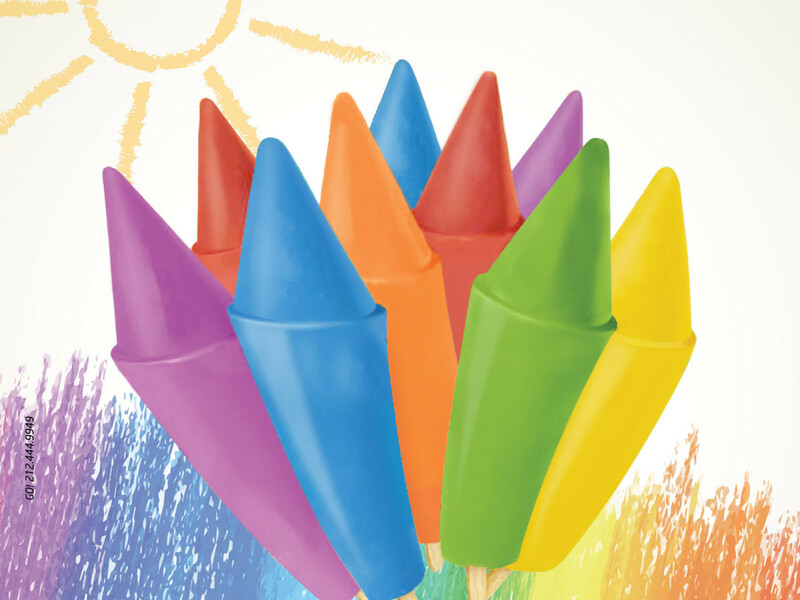 Just conjure up in your mind a long, lazy summer afternoon, filled with, bright sunshine, fun crayons, smiling friends and cool frozen ice treats. Such warm memories are forever etched into our awareness. The fun-loving, innovative folks at Klein’s Kosher Ice Cream know a thing or two about fond, fun memories – after all, they’ve been producing frozen fun for over six decades. They’ve developed a perfect product to capture the perfection of bright summer fun. Klein’s Color Pops, creatively shaped like crayons, produced in a variety of glowing colors and packaged in a fun crayon box that holds twenty-four colorful sticks of fun, will be an instant hit with kids and adults everywhere! One yummy lick of these frozen color pops and you will be instantly transported back to your fondest childhood memories while simultaneously creating new memories going forward. Everyone loves colorful fun, and Klein’s does not disappoint with this creative product! Whether you choose green, blue, red, purple, orange or yellow, the color and the °savor will burst onto your palate in a refreshing, exciting way, bring a smile to your face and add excitement to your summer. Pick up a box or two of these very reasonably priced frozen color treats and let the kid in you live again!